Catherine has spent years caring for her father, a brilliant mathematician whose genius was crippled by mental insanity. When he dies, his former student Hal insists on going through his 103 notebooks, hoping to find hints of the man’s genius. He is about to stumble on a major discovery. Is Catherine ready to share it? How much of her father’s madness has she inherited? A Pultizer Prize-winning fine and tender play. 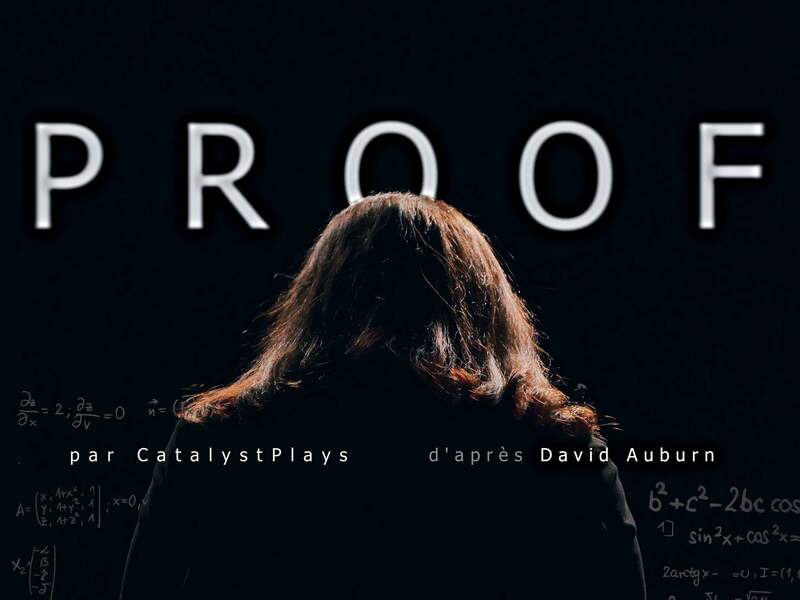 This amateur production of Proof is presented by special arrangement with SAMUEL FRENCH, LTD.